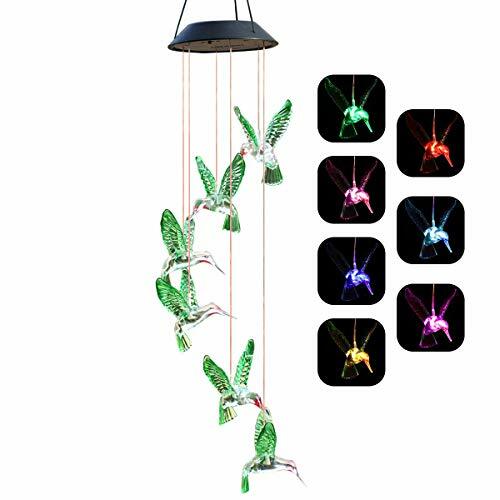 Enjoy the sight and sound of wildlife in your garden, on your porch, or in a window with a lovely enameled metal and colored glass hanging hummingbird feeder from Sunset Vista Design Studios. The wire frame features brightly enameled floral accents and the bottles are made from colored glass - NOT clear glass with a plastic coating! Sunset Vista partners with remarkable artists in all traditions to bring creative products to their customers. 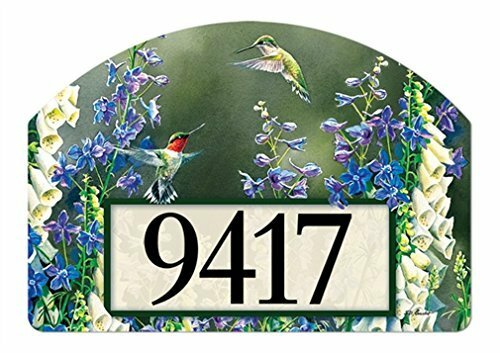 For years, they've been design leaders in outdoor, indoor and seasonal decor; including wind chimes, wind spinners, plant picks, lawn signs, bird feeders, hummingbird feeders, bird houses, frames, wine charms, clever signs and chalk boards. Bright colors, appealing shapes and sometimes in a material you might not be expecting (marabou anyone?) - think of something innovative and interesting and we're probably making it! Whether it's a gift for a friend, loved one, colleague, or co-worker, or, best of all, one for yourself, turn to Sunset Vista for something special, something fun and something they'll remember. 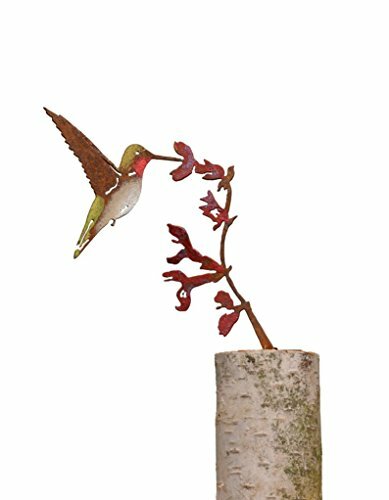 The freshness of a new day is depicted in this morning glory with a charming hummingbird sipping from one of the flowers. 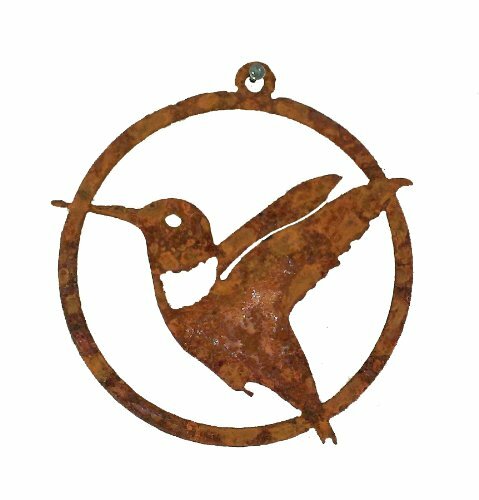 Other hummingbird silhouettes are available at #CO104, #B742, #R204, #T302, and #WE613. Handmade in steel from an original design and hand-rusted. 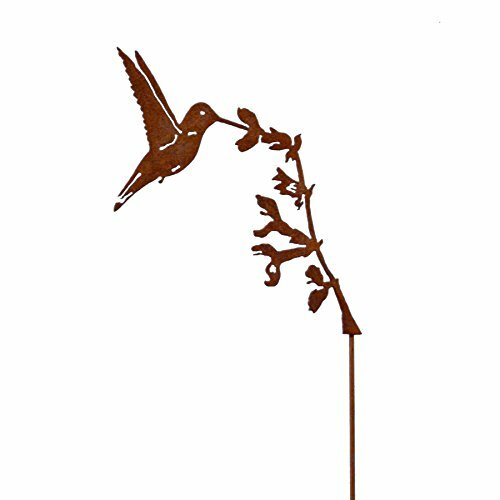 Enjoy adding a touch of shabby chic charm to your pergola, fence, bird feeder, or window frame with this side-mounted silhouette. 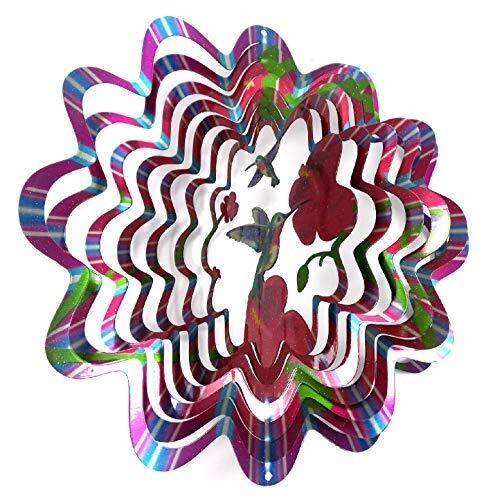 Bring this artful design inside to accent a planter or window. SKU# M415 Dimensions: 11.5 in. wide x 9 in. high. The design team at Sunset Vista is constantly looking for fresh, fun home & garden ideas & partnering with remarkable artists in all traditions to bring creative products to their customers. For years, they've been design leaders in outdoor, indoor & seasonal decor. 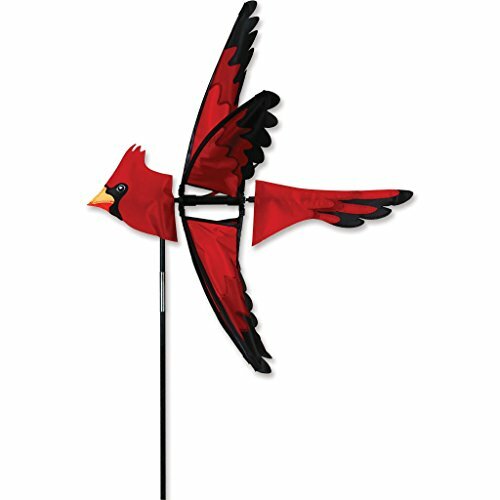 The product range includes solar garden art, wind chimes, spinners, plant picks, whimsical sign, hummingbird feeders, bird houses, frames, wine charms & more! whether it's a gift for a friend, loved one, colleague, or co-worker, or, best of all, one for yourself, turn to Sunset Vista for something special, something fun & something they'll remember. Yard DeSigns by Studio M is a creative way to add decor to your yard or garden. 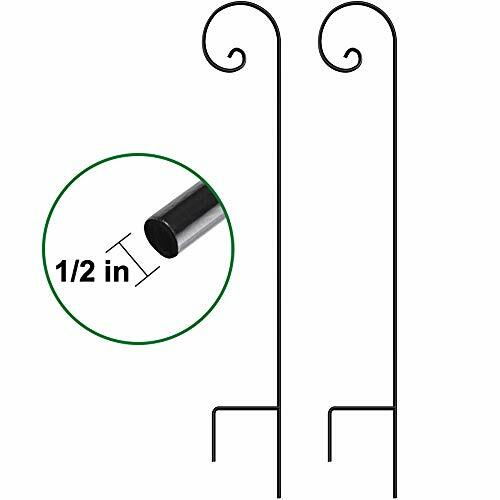 Use a Yard DeSigns Metal Stake (sold separately) to display this magnetic artwork. Choose from many interchangeable designs. Matching BreezeArt flags and MailWraps mailbox covers available. Buy several to use year round for each season. What a great way to dress up your yard or garden. Yard DeSigns are printed in the U.S.A. Plow & Hearth Exclusive - Our exclusive Hummingbird Bench is a great value for outdoor furniture. It's the ideal bench for enjoying your favorite garden spot, along a path, under a tree or among the flowers. 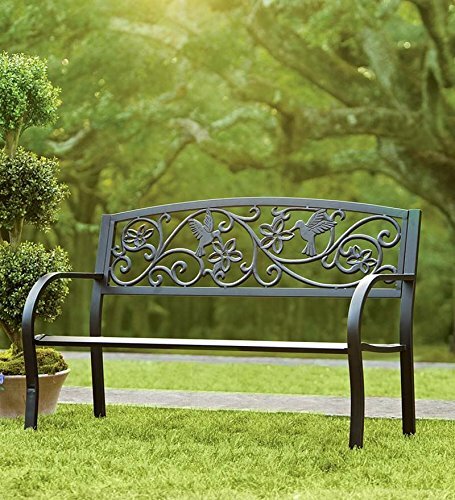 Sturdy cast and tube iron bench features an stunning back detailed with hummingbirds, vines and flowers. It's finished in a classic black finish for a timeless look in any outdoor location. Easy assembly, classic good looks and a great price make this bench a perfect pick. 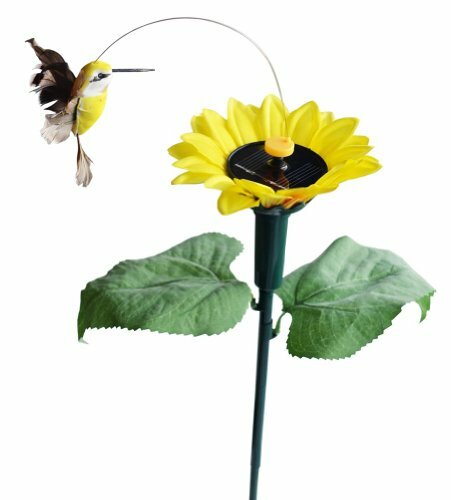 Size: 50"L x 17-1/2"W x 34-1/2"H.
Flowers and hummingbird feeders can attract clouds of these fascinating little birds. 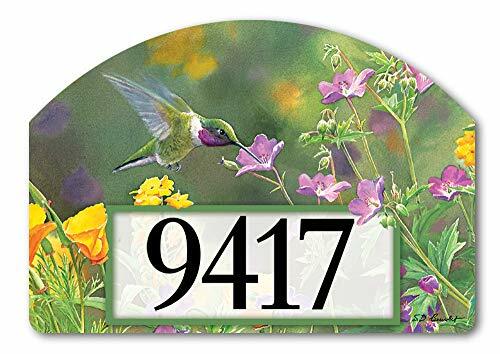 Other hummingbird silhouettes are available at #B742, #M415, #R204, #T302, and #WE613. Handmade in steel from an original design and hand-rusted. Not just a charming ornament for your Christmas tree, inside or out, hang it in a window or on a wall, or suspend it from your pergola for year-round enjoyment. 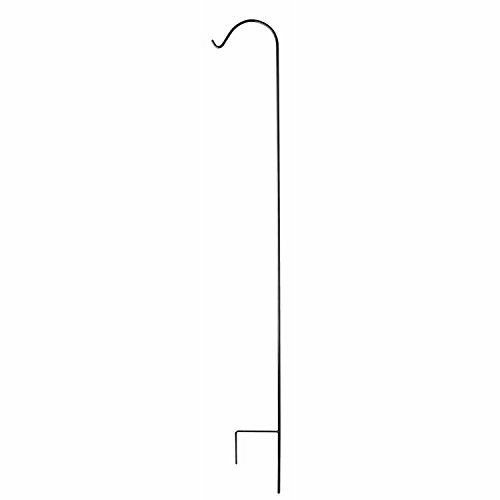 SKU# CO104 Dimensions: 3.25 in. wide x 3.25 in. high. 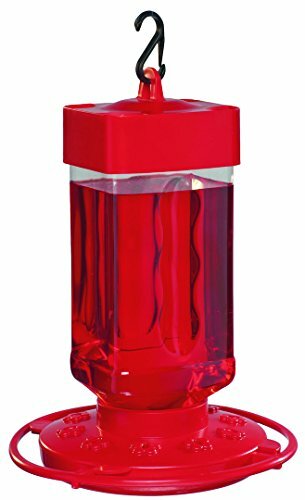 First Nature, a birding products Company, was founded in 2001 the line has Grown to include an assortment of best-selling seed feeders, waterer, hummingbird feeders & easy-to-use hummingbird nectar. First Nature products feature unique & Patented designs that really attract the Birds & make feeding birds easier & even more enjoyable. Flowers like the salvia this hummingbird is sitting on, and hummingbird feeders can attract clouds of these fascinating little birds. Handmade in steel from an original design and hand-painted. 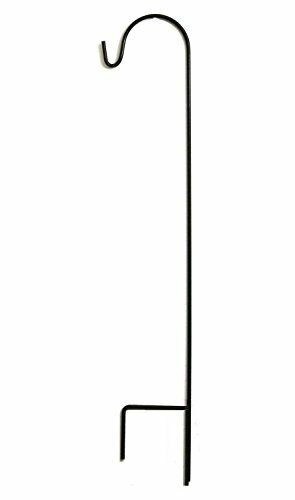 Mount this silhouette on the top of a fence or wall in your garden, a tree branch, a windowsill, or to the rail of your deck. Use it as a unique accent to a planter, the top of a door, a fireplace mantel, or other interior design. Dimensions: 6 in. high x 7.38 in. wide x 0.5 in. deep. 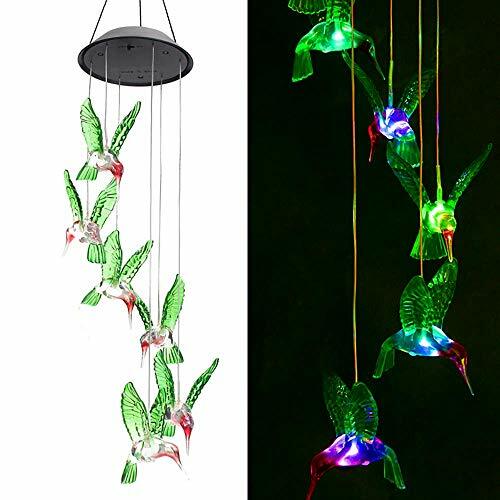 This new design of hummingbird with sun flower is the center show case of solar fluttering bugs. 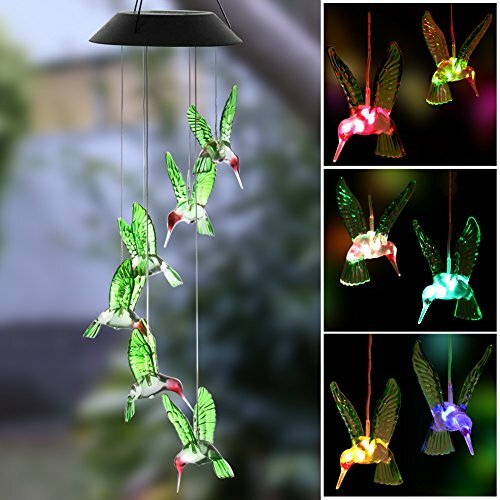 The realistic design is not only in feather hummingbird, but also the flowers in the middle that loans decoration ideas even to the boring solar panels. It can be used for potting, and flower beds. The movement makes your garden coming to life. Solar powered, no batteries included. Patterned product, imitation prohibited! Few things are as enchanting as having one of nature's most majestic and tiny creatures, the breathtaking hummingbird, eat right from the palm of your hand. 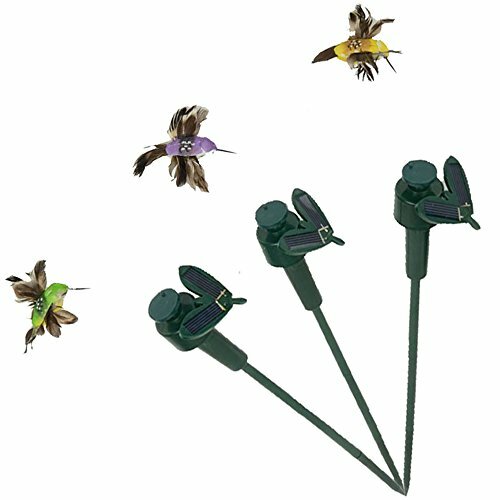 This magical experience is just what hummingbird enthusiasts can experience with Aroma Tree Handheld Hummingbird Feeders. 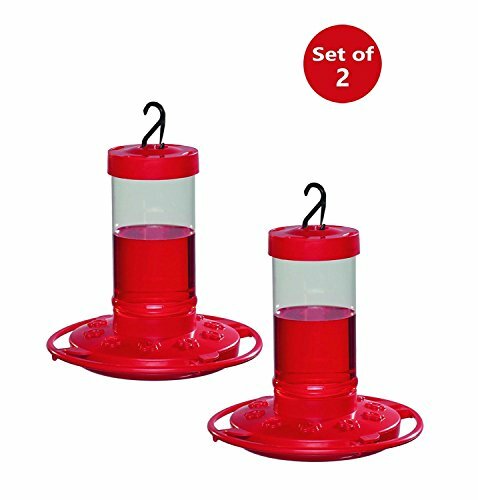 This two-pack of hummingbird feeders features high quality feeders in a new and improved larger size that is perfectly designed to attract hummingbirds right to the palm of your hand. 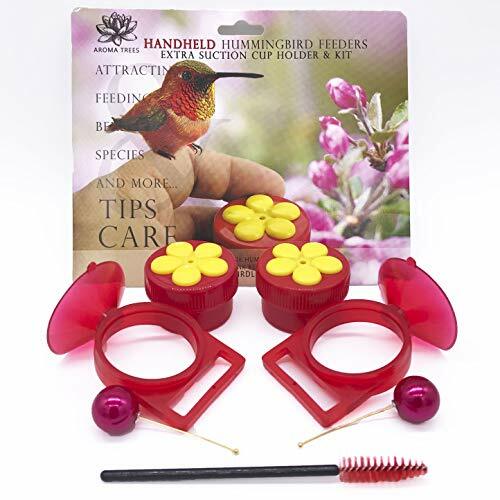 Hummingbird enthusiasts will receive not only the two bright and boldly colored handheld feeders, but also a handy mini cleaning brush, educational and informative Hummingbird 101 PDF download, and easy to follow instruction card that allows you to start feeding hummingbirds today! 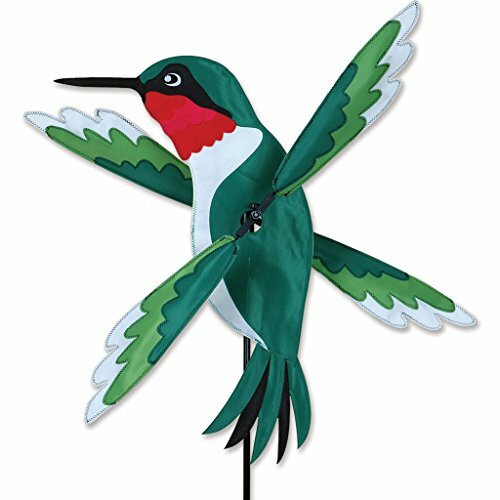 Welcome friends and family to your home with this hummingbird sign. 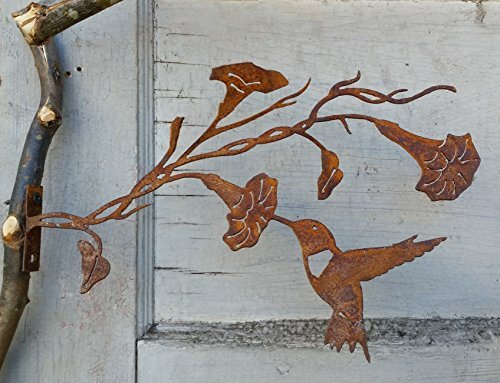 An inviting accent for your front door or gate, this sign is made from wood with metal hummingbird and flower accents. The sign measures 19" long x 8.75" wide. 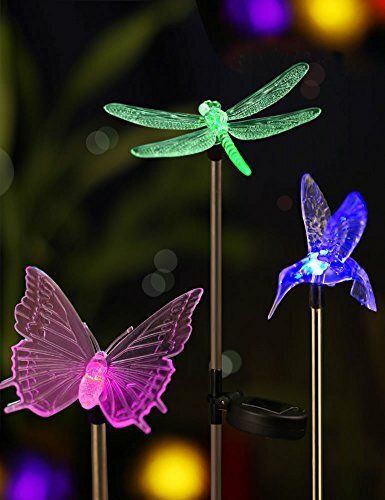 Sunset Vista has everything under the sunset to decorate any area with a compelling array of fun and fashionable garden, gift and home decor items. 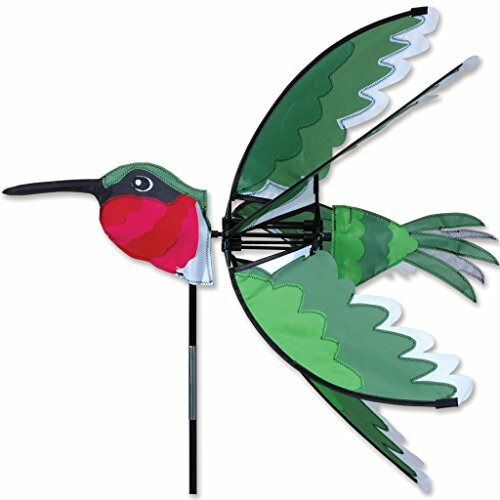 Compare prices on Hummingbird Yard Designs at LiveSaler.com – use promo codes and coupons for best offers and deals. We work hard to get you amazing deals and collect all avail hot offers online and represent it in one place for the customers. Now our visitors can leverage benefits of big brands and heavy discounts available for that day and for famous brands. We try to makes comparison shopping easy with Product Reviews, Merchant Ratings, Deal Alerts & Coupons. Find Deals, Compare Prices, Read Reviews & Save Money.